Get up close and personal with Egg Rock. Imaginative people have seen everything from fish to Donald Trump's face on Mars. Some Mars scientists took a look at a strange lumpy object seen by NASA's Curiosity rover and dubbed it "Egg Rock." Egg Rock appears to be a small nickel-iron meteorite, estimated to be no larger than 1.6 inches (40 millimeters) wide. Scientists at Arizona State University released a close-up look at the meteorite on Monday. When blown up, it more closely resembles a wadded-up ball of clay than an egg. 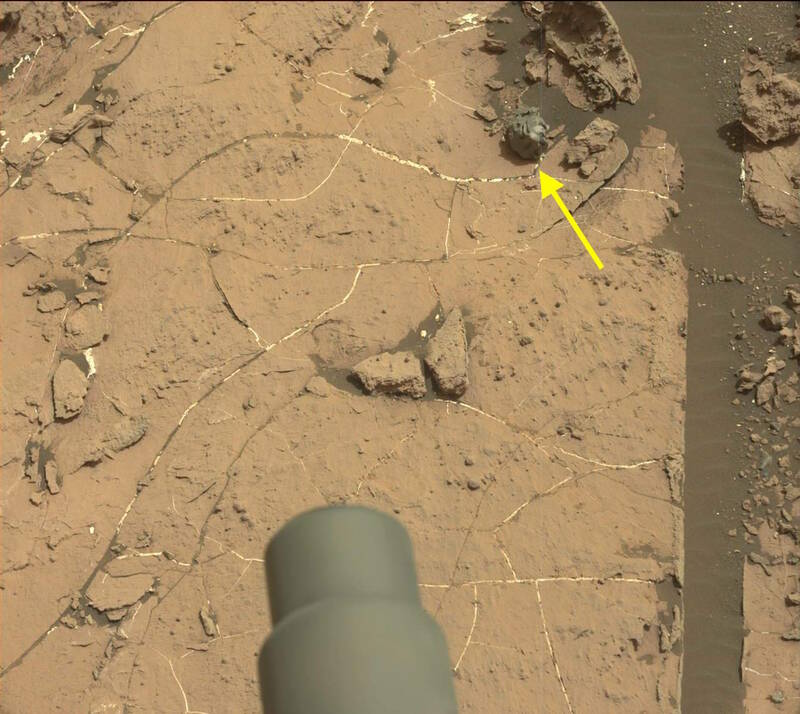 The rock's dark material stands out against the lighter ground where it was found in this wider view. "On Mars, iron meteorites dominate the small number of meteorites that have been found. Part of the explanation could come from the resistance of iron meteorites to erosion processes on Mars," NASA noted in 2014 when Curiosity discovered a large iron meteorite named "Lebanon." In the grand scheme of meteorites, Egg Rock qualifies as a cute little thing. Just compare it with this behemoth Gancedo meteorite extracted from a field in Argentina in September. Curiosity landed on the Red Planet in 2012 and is currently driving at the base of Mount Sharp, a mountain located in the Gale crater.